Teo Chew Lor (潮州卤) is a heated snack braise in a bubbling spices soy sauce broth, which imparts palatable flavour and a beautiful brownish hue. This Teo Chew Chinese Cuisine offers a selection of “Lor (卤)” Vegetables, Bean Curd, and Meat Cut to choose from. Teo Chew Lor offers Steam Rice RM2.00 and Plain Congee RM2.00 to dig in with the braised dishes. 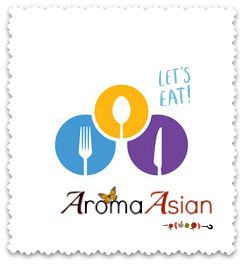 Recommend to upgrade to the aromatic Yam Rice (芋头饭) RM3.00 for a more delightful experience. Appetiser dishes – Salted Vegetables, Braised Peanut and Braised Tofu is a perfect appetiser trio to try out based on the traditional eating way of Teo Chew Cuisines. The Braised Mix Platter (卤猪杂) RM9.50 is a great opener in Teo Chew meal. Each set of platter serves with braised – Pork Skin, Egg, Bean Curd, Tofu, Pork Innards and Pork Slices. Taste especially delish with a dip of chilli sauce. Braised Duck (卤鸭) RM12.00 is one of the signature dishes in Teo Chew Lor. Succulent duck meat is even more flavourful after combine with the spiced brownish “Lor” sauce. One of the best ways to having the “Lor” sauce is by pouring a hearty amount onto the porridge then mix and enjoy. The Tau Cheong Lala (豆酱啦啦) RM16.00 is a special dish that can only be found in Teo Chew Cuisines. Scrumptious sweet salty clam tastes divine after stir-frying with spices – Ginger, Chilli and Onion. A dulcet of Or-Nee (芋泥) RM8.00 is the best dessert option to end the meal in Teo Chew Cuisines. Teo Chew Lor serves Or-Nee with mashed barley and ginkgo nuts to enhance the flavour. This Or-Nee Dessert is considered a fail dish as most ginkgo nuts seed are still intact (which produces a very bitter taste) while the whole dessert is covered with a heavy load of cooking oil (tastes only peanut oil instead of yam which deemed unappetizing). Address: S.225, Level 2, The Starling Mall, Jalan SS21/37, Damansara Utama.